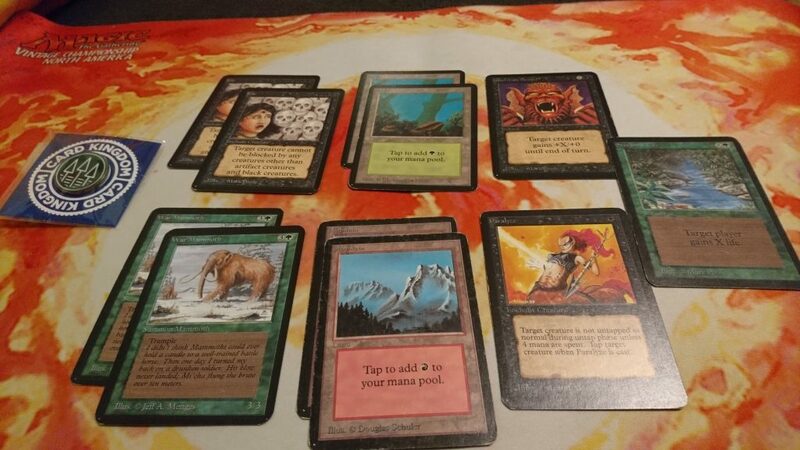 A while back, I wrote about building my Alpha 40 deck and getting some games in with it over the winter holidays. Well, it’s now Spring, and I’ve gotten to play even more games and picked up a few choice upgrades that I figured I’d share. The first thing to notice is that it’s definitely more than 40 cards now. To me, an all Alpha format hearkens back to being young, naive, and unknowing about all things Magic, so more cards = larger deck. I am eschewing other colors, which is in itself idiosyncratic of the “I cracked a Starter and some boosters and shuffled up” outlook I try to uphold, but the prices of Islands and the difficulties of 3 colors, let alone 4-5 are enough to keep that in check. 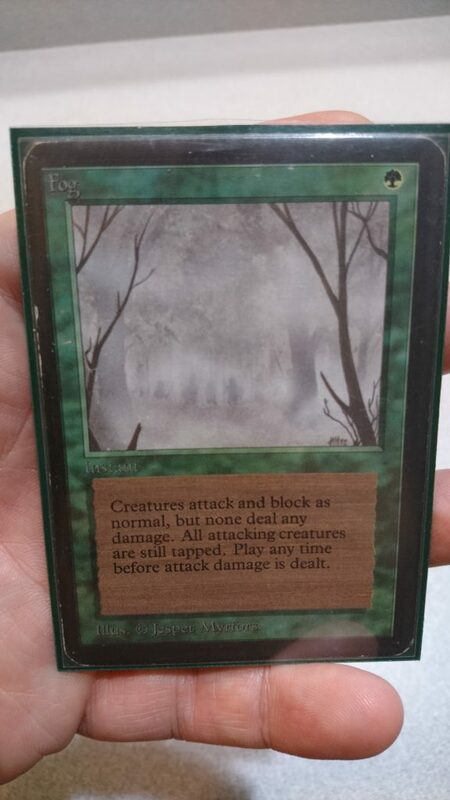 An early surprise was finding that my deck was missing a Fog. 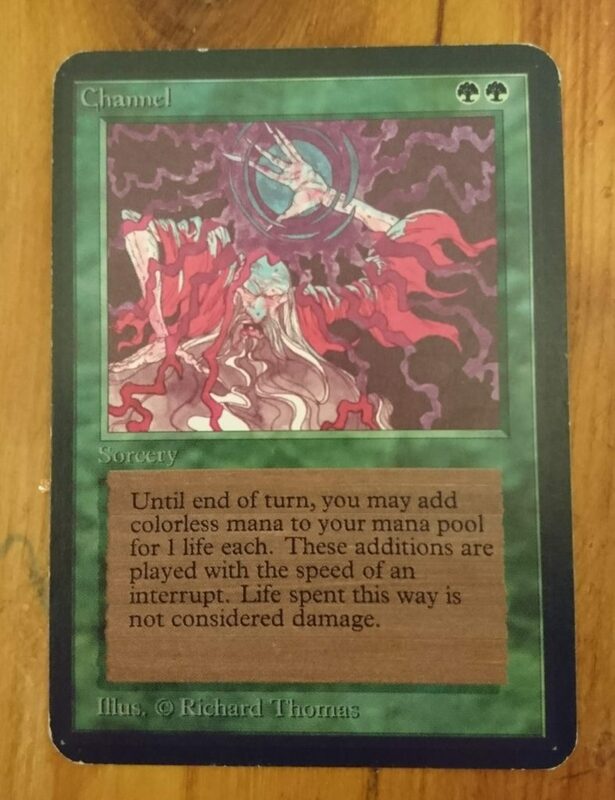 This is a serious omission, in my opinion, from any deck that runs Green. I know that threats are what win games, but a well timed Fog can make all the difference, and even if not, it generally means you get another turn. I personally love this card in multiplayer games as a way to garner favor from another player by saving them. I’ll give you all a piece of insight into my habits; if I can run a Fog effect in a deck (ie, it’s available in the format and on color), I will. The next set of cards were what allowed me to really grow beyond 40. I was dangerously low on creature threats, so two more Mammoths and the lands to allow me to cast them, as well as more Mountains to ensure I can cast a Disintegrate when needed, were very much needed. I also made the decision that Paralyze would be the card that I’d run more than four of, since it does a lot of work vs creature heavy builds, which, let’s face it, are most of what is faced in casual A40. Stream ended up not being fantastic but is iconic, so I leave it in, but it might not make the 60 card cut. The next set of cards I picked up were a bit more strategic than others which tended to be more “those are on color and affordable”. Giant Growth is the original combat trick, and looks fantastic in Alpha printing. 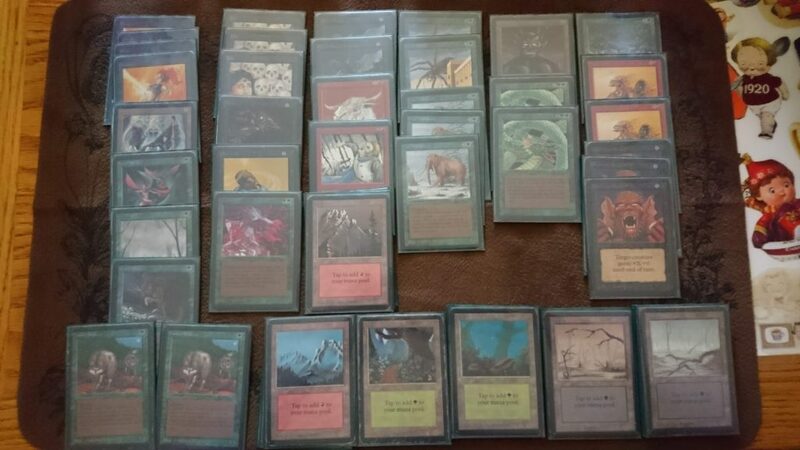 Stone Rain, like Stream of Life, probably won’t make the final 60 card cut as there aren’t that many problematic lands in this format, unlike Old School 93/94. Which leave Drain Life. This card, although tough because it’s basically an X spell that requires B, can be a finisher or as removal, making it a good tool for the box. I didn’t get to play in The Winter Blast, but I did manage to get in some Alpha games between rounds with Owen, during which we were both giddy to cast Spiders and Elves and such. If I recall correctly, we went 1:1 in our first match up and had a tie breaker, but don’t recall how it panned out. I know I did Channel Disintegrate for lethal in one game, a definite highlight. At The Tundra Wolves Challenge 2 last weekend, the only decks I brought with me were my tournament deck (Wolf Tribal, obviously) and my Alpha deck, and I was determined to get some games in. When we arrived, I immediately started asking if there were Alpha players and was immediately pointed toward a dude in the corner. 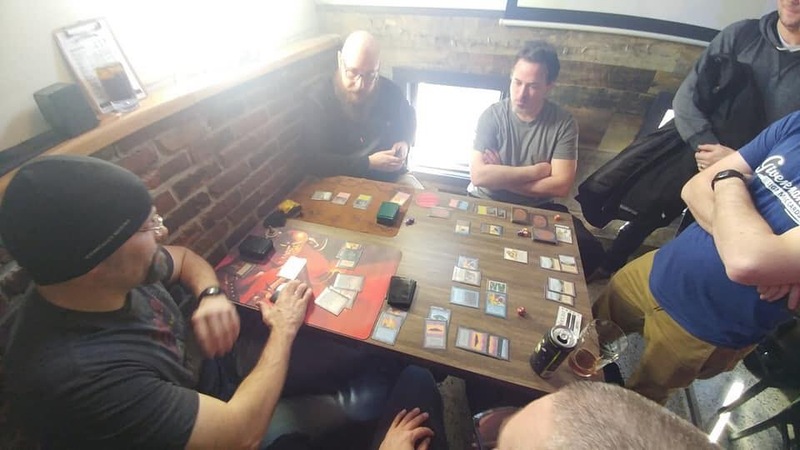 I sat across from him and said “I hear you play Alpha”, and within minutes we had a 5 player free for all going. 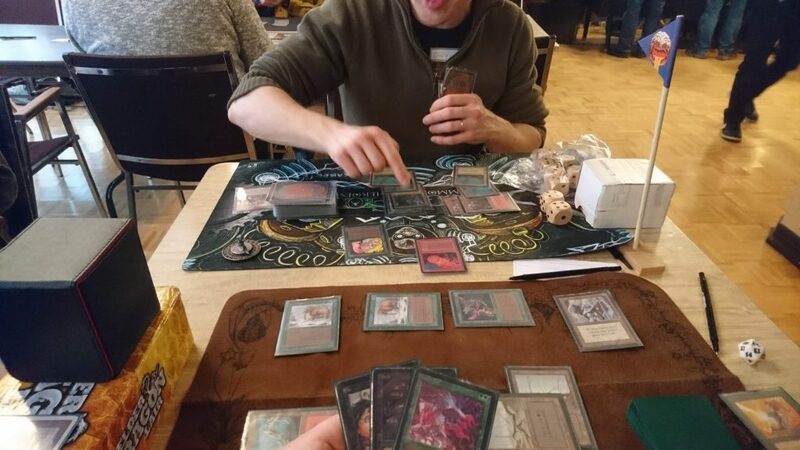 One player was even on a mono black Alpha 60 deck for the tournament! Between rounds we also managed a handful of games where some of the great lines of play included Firebreathing Grizzly Bears made unblockable by Dwarven Warriors getting in for damage, and loads of Sengirs eating creatures and players alike. I even saw a Lord of the Pit hit the board! I don’t know what my own Alpha journey looks like at this point in time. 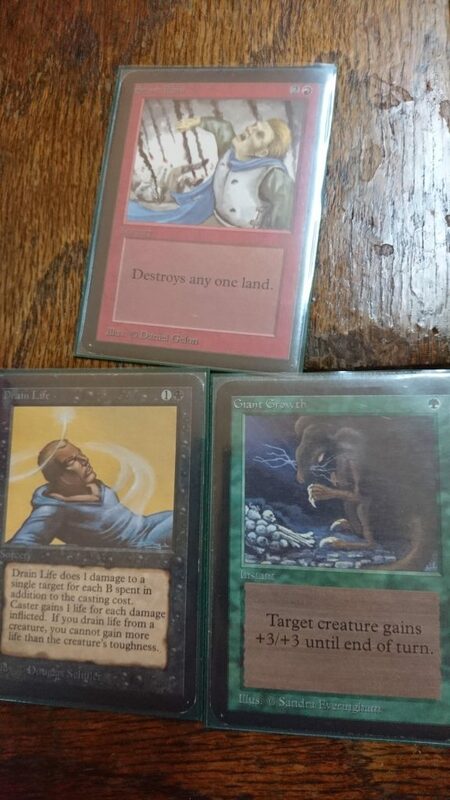 I recently won a random ebay auction that I low bid on and ended up winning, which consisted of Fire Elemental, Fear, and Fireball, so I’m certain that the two red spells will go in, and that those three put me at 62 cards, meaning I need to cut some things and should probably look at getting another Mountain or two. I still love white, and fantasize about a Banding deck, but I know that I’d want things like Serra Angel, Disenchant, and Swords in it, all of which are a small fortune to pickup, and I really should be focusing on getting the remaining dual lands I want. All in all, the Alpha Journey has slowed considerably, but is still moving along. Being able to play something is more important to me than playing an optimal deck, and these niche formats (such as ABU 60 and Revised 40) really go a long way towards getting suboptimal cards into decks. I am surprised to see how many people have gotten in on A40, and really need to finalize my cam setup to get more games in.